Decorate with nature. Hosting a get together or simply want to spruce up your home? Look outside. There are plenty of decorative fall finds in your backyard! Gather pinecones and put them in a bowl as a centerpiece. Use the beautifully colored fall leaves as place cards or to spread along your tablescape. Acorns littering your yard? Dip them in gold paint (a couple of dollars at any craft store) and add them to your festive scene. Make it potluck. Instead of hosting a dinner party and preparing everything yourself, ask guests to bring a dish to contribute. Not only will it make it a more memorable “sharing” event, it will save you time and money! Go to a farmer’s market. 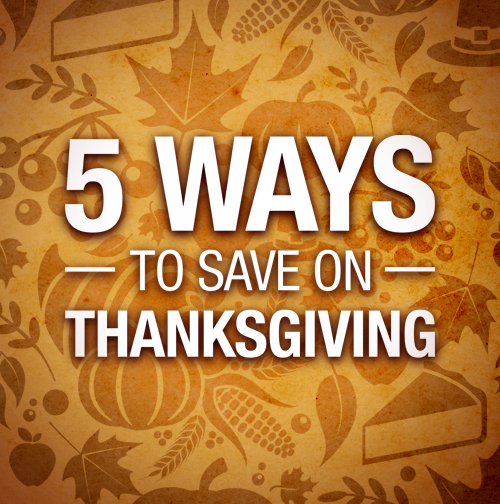 Looking to save money on fall vegetables? Go to your local farmer’s market to stock up. You can’t beat the variety — or the price! Make a list and check it twice! A great way to save money is to jot down what you need on a piece of paper or your handheld device and stick to it when you’re shopping. Try not to deviate from your plan and get caught up in buying “extras” you really don’t need. Keep it simple. Thanksgiving is all about spending time with people you care about and showing them how much you appreciate them, not over-doing it. Keep it simple and you’ll be thankful you did! This entry was posted on Thursday, November 19th, 2015 at 5:28 pm	and is filed under Primerica, Tips. You can follow any responses to this entry through the RSS 2.0 feed. You can leave a response, or trackback from your own site.